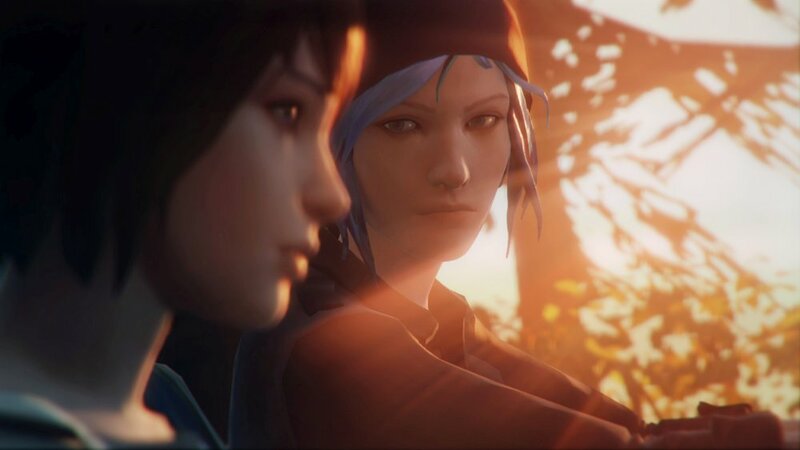 Home VgamerZ OriginalZ Life Is Strange: Is Chloe Destined To Die? Chloe was shot in the school bathroom. Chloe will accidentally shoot herself if you tell her to aim for the car bumper in the junkyard. Chloe is just about squished by a train. That’s three near-death incidents in two days, and two of them were identical – she gets shot in the exact same place (her stomach) two days in a row. Now we can write off the first incident in the bathroom as the story’s inciting scene, but what about the other two? For those who didn’t explore this option, when Chloe and Max are shooting bottles in the junkyard, Chloe asks Max to tell her where to shoot a rusty old car to make it destroy the remaining 3 bottles. If you tell her to shoot the car’s bumper, the bullet will bounce back into Chloe’s stomach. Wait, what? The bullet bounces off a car bumper and hits Chloe right in the stomach? What are the odds? Okay, so maybe it wasn’t the smartest idea to be playing with a gun while drinking, but still! Of all the directions that bullet could have flown off in, it went straight for Chloe’s stomach. It’s extremely unlikely, and even more so if you take into account that Max saw Chloe shot in the exact same spot the day before by Nathan. But let’s call the two bullets Chloe’s taken to the stomach a coincidence. There’s still the train drama to deal with. After chilling on the train tracks for a while, Chloe (somehow) gets her foot stuck and can’t get up. And, of course, as soon as you realise this, the train is on its way. The path Max has to take to free Chloe is convoluted and not immediately obvious, so it’s likely you had to rewind at least a couple of times before you got her free – which means you got to watch your friend on the verge of being smooshed several times before you set her free. And let’s not forget how weird it is that she got stuck in the first place. Unless she decided to shove her foot in between the tracks, it’s not exactly clear how she managed it. In episode 2 alone, both incidents were accidental and, presumably, could just as easily have happened to Max. But it was Chloe who copped it both times. It could be that Life Is Strange adopts the theory in physics that time is immutable. Perhaps Chloe was “destined” to be shot, and all of these near-death incidents are actually just the universe trying to correct itself after Max stuffed it up. It could be that, no matter how many times Max rewinds, she ultimately won’t be able to save Chloe. So are the writers trying to tell us that Chloe’s days are numbered? Maybe they’re tying to soften the heartbreak we’re going to suffer when we watch one of our favourite characters die by making us practice watching it happen over and over again, so we’ll be desensitised to it. It will be interesting to see if Chloe’s habit of dancing with death continues in episode 3, but for now, I’ve got a bad feeling about what’s to come for her.